I have fond memories of (badly) playing games with my best friend as kids. She always beat me, so I didn’t get to play much. When she got the N64, there were more options to play side by side …and I still did quite poorly. 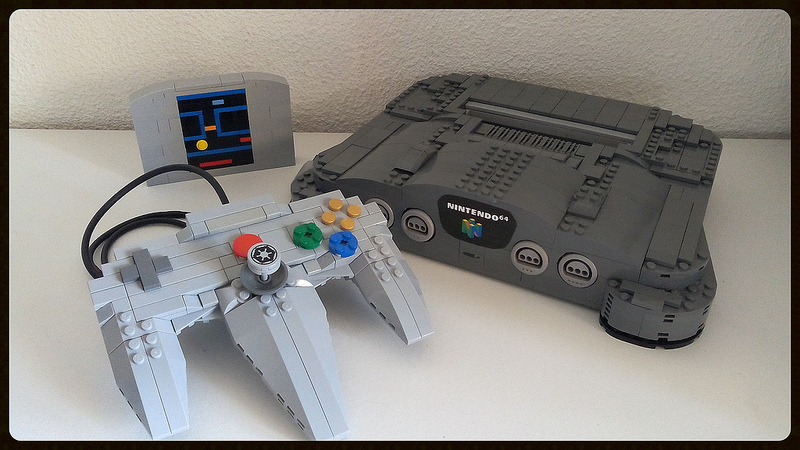 However, Old School Brick‘s LEGO Nintendo 64 with controller is executed beautifully. It almost looks like I could pick up the control and key-mash until I manage to not die and find the proximity mines before anyone else.